This past Saturday we got to celebrate child dedication at our church for Edric, Paxton and Coppelia. 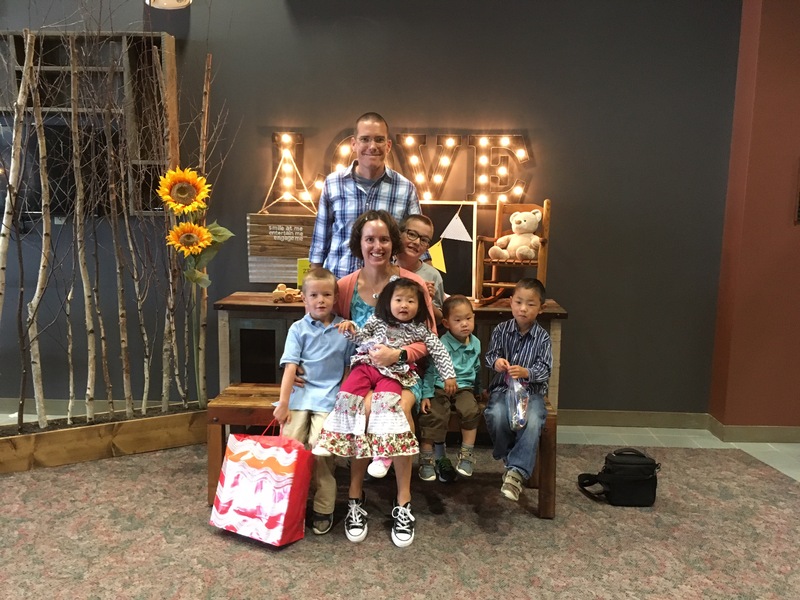 We did baby dedications for Leighton and Caedmon when they were born and had planned on doing Edric’s dedication after he came home but somewhere in the midst of everything it got put on the back burner and never got done. So this past Saturday we gathered with 30+ close friends and family and had a sweet child dedication. As part of the child dedication we wrote each of the kids a letter. We were encouraged to think about long term goals and characteristics that we wanted each to have in their lives. We chose three words for each kid and plan (at some point when I get everything together) to make wooden signs with the words that we chose to hang in their rooms (we also chose 3 words for Leighton and Caedmon that we will do the same with them as well). For Edric we chose the words “trustworthy”, “brave”, and “kind”. For Paxton the words are “”generous”, “peaceful”, and “joyful”. And for Coppelia we chose “courageous”, “empathetic” and “sincere”. We were really encouraged by the friends and family that were there to support us and so thankful that we have so many amazing people to walk this life with and share these moments and have the support from. It truly takes a village. Next Post Black and White #1….